The legal sculpture is an exceptional work of art and a great lawyer's gift. *Please see extended information for Expedited Shipping and Returns. 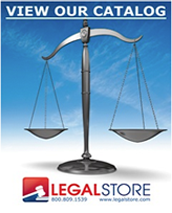 Our 39" bronze Lady Justice Statue is a wonderful piece of law firm decor. Finely orchestrated with extreme detailing, and an original work of art, this law firm statue stands a full 39" tall. A large Lady Justice statue ideal for courtrooms, legal offices and law libraries. Anywhere law is well respected, this fine, large Lady Justice statue will make its own contribution. Representing fairness, equality and adherence to the balance of power, this legal statue exhibits the basic, fundamentals on which our system of law is based. A legal collectible and fine piece of artwork. This sculpture depicts the Lady Justice blindfolded in a standing position with the justice scales held high and her hands. A true law firm decoration for the attorneys who pursue the purest sense of the word, justice. Placed on a domed bronze base, with an antiqued look and authoritative elegance. The Lady Justice Statue is also an affordable work of art and a fine lawyer's gift. PLEASE NOTE: This item may incur additional shipping charged for Expedited Shipments. This does not affect Free Ground Shipping. If you order Overnight, 2nd Day or 3rd Day, please call 800-809-1539 for actual shipping charges, or we will contact you once you place the order, thank you.